"Today I am announcing that [we will] challenge the [anti-] tar sands campaign and the way it's been damaging our vital economic interests," Kenney said. In January, CBC News interviewed Vivian Krause, a B.C.-based researcher and blogger, who estimated that various American funders have contributed roughly $40-million to anti-pipeline groups in recent years. At the time, Krause said she believes that's why the Northern Gateway, Energy East, Keystone, and Trans Mountain pipelines failed. There's a level of strategy that comes from campaigning in Valleyview, or rather the riding of Central Peace-Notley, said Lori Williams, associate professor of policy studies at Mount Royal University. Marg Ellen McCuaig-Boyd is the NDP incumbent for that district. She's going head-to-head with the UCP incumbent from the former riding of Grande Prairie-Smoky, Todd Loewen, after parts of the two ridings were combined ahead of the election. Williams said Central Peace-Notley is an important riding for both party leaders. "We saw Rachel Notley campaigning up there earlier this week. 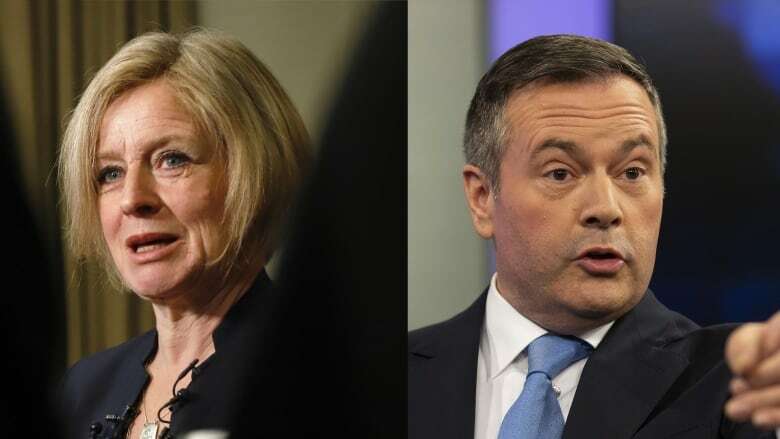 Certainly she's been up more than once, and just the fact that Jason Kenney is up there now means that he thinks it's worth investing his time," Williams said. At the beginning of a campaign, the focus is on the incumbent and any dissatisfaction people have, Williams said. But toward the end, voters turn their attention to the leaders. 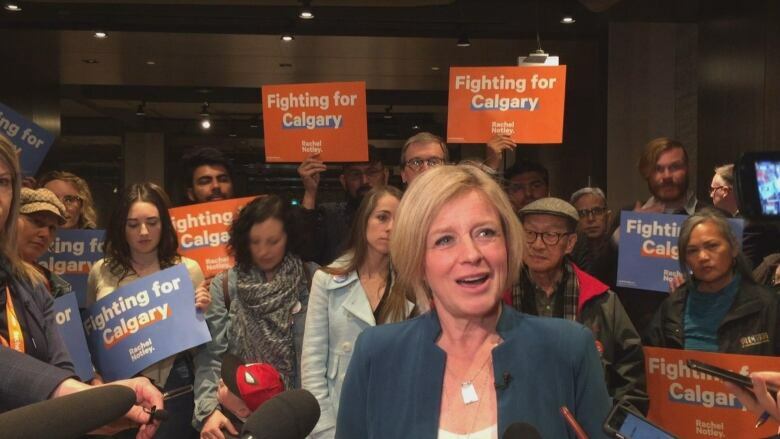 Notley was in Calgary Saturday, hosting her own rally. "We have a strong plan for the economy, a strong plan for jobs, a strong plan to responsibly bring the budget back to balance… people don't have to choose between that and someone that's going to protect their healthcare and education and keep Alberta a welcoming, diverse place," Notley said. She said her platform delivers on the economy, jobs and pipelines — a catchphrase frequently used by Kenney — but goes beyond that. "I think Albertans have a broad range of issues that they're concerned about. I absolutely respect all Albertans that are concerned about the economy and jobs, we need to be." She talked about her plans to increase jobs in the tech, research, agriculture and renewable energy sectors, and to diversify the economy beyond the energy sector. "[And] making jobs outlast the ups and downs of the oil price, finally, at last," she said. Williams said Notley's move to campaign in Calgary in the final days of the election is due to a number of competitive ridings in the city. "Presumably Jason Kenney has decided that some of the seats are not necessarily worth fighting for, he thinks that he's far enough ahead that he doesn't need to campaign," Williams said. Despite taking to different ends of the province, Williams said for both leaders — and their party members — this weekend ultimately comes down to "the ground game." "Hearts and minds are being fought for, on doorsteps and at meetings and rallies around the province. And that's that's what the leaders are focusing on now."